“In the locust wind comes a rattle and hum,” sang Bono on ‘Bullet The Blue Sky’ on ‘The Joshua Tree.’ U2 didn’t know it at the time, but they were naming their next adventure. ‘Rattle and Hum’ was the album that saw U2 build a bridge from the studio to the silver screen, with some superstar collaborations along the way. The incredible global success of ‘The Joshua Tree’ was an undeniable staging post in a story that was already more than a decade old. But U2 have never been a band simply to press repeat. Now they saw the opportunity to create something different again, a record of what they had just achieved and a signpost to where they were heading next. 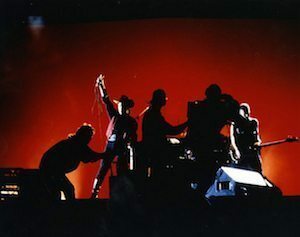 Hence the typically innovative combination of a full-scale film to commemorate the epic tour for ‘The Joshua Tree’ and a companion double album that contained live elements, but also stood tall as their sixth studio release. All of this little more than 18 months after the album that had rewritten industry records and taken the band to the very top of their profession. The idea of presenting U2 on the big screen was in the great tradition established by forebears such as Elvis and the Beatles. But here was a film founded on the simple premise of showing musicians working at the day job, or more often the night job, entertaining scores of thousands of people. Studio outtakes and interview material rounded out a portrait that captured an essential moment in their history. The ‘Rattle and Hum’ movie was filmed in Colorado— just as the ‘Live At Red Rocks’ video had been four years earlier — this time at the McNichols Sports Arena, in Denver, in November 1987. It captured the overwhelming ebullience of a U2 concert, from the opening cover of the Beatles’ ‘White Album’ romp ‘Helter Skelter’ to a valedictory ‘Pride (In The Name Of Love)’ 21 songs later. 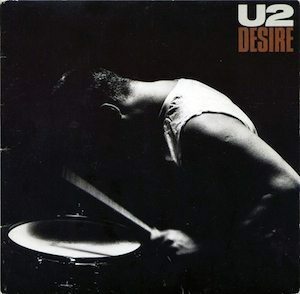 But, far from taking the easy option of a simultaneous CD equivalent to the film, by the spring of 1988 U2 were at work on a very different type of companion release. Even as they oversaw post-production of the Phil Joanou-directed documentary, the band started to lay down new material, both in Los Angeles and in the musical holy ground of Sun Studios in Memphis, for what would become ‘Rattle and Hum,’ the album. There were, as ever, satellite ventures along the way. In September, the band contributed the track ‘Jesus Christ’ to ‘Folkways: A Vision Shared,’ a multi-artist tribute to the pioneering work of Woody Guthrie and Lead Belly. Bono and The Edge also had the honour of having their song ‘She’s A Mystery To Me’ recorded by another American hero, Roy Orbison, and produced by Bono, for ‘Mystery Girl,’ both his comeback and, sadly, his final album. It was recorded weeks before the Big O’s untimely passing. At the end of September, 1988, U2 announced their return with one of the most exhilarating singles of their career. ‘Desire’ was a breathless, vein-bursting nod to the punk-before-there-was-punk sound of the Stooges, itself distilled from a nucleus of the Bo Diddley beat. The result was utterly compelling. After a UK debut at No. 3, which equalled their best-ever peak with ‘Pride’ four years before, ‘Desire’ climbed to the top to give U2 their first British No. 1 single. 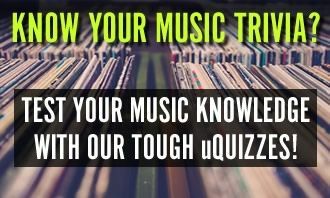 It went on to land a Grammy for Best Rock Performance by a Duo or Group With Vocal. Hard on its heels, the album rattled and hummed into view in October. Time magazine would call it “the best live rock album ever made,” but it was even more than that. Produced by Jimmy Iovine, the double disc incorporated recordings from the Denver shows, others from San Francisco, New York and Tempe, Arizona, as well as new studio material and some truly striking collaborations. Bob Dylan was present not just via the album’s live cover of ‘All Along The Watchtower,’ but in a new co-write with Bono, ‘Love Rescue Me.’ The association continued later in the year when U2 contributed a cover of Dylan’s ‘Maggie’s Farm’ to the compilation ‘Live For Ireland,’ also featuring Van Morrison and Elvis Costello, among others. ‘Rattle and Hum’ debuted on the British chart at No. 1, and if the first-week sales of 235,000 for ‘The Joshua Tree’ were a new record, the new album smashed it: 360,000 people bought the album in the first week, as it moved to quadruple platinum certification. By November, it was sitting atop the American chart, in a six-week run that lasted until the week before Christmas. It sold five million copies there, and three times that worldwide. Its four hit singles, also including ‘All I Want Is You,’ kept U2 in singles top tens everywhere for months. With the 1990s just around the corner, those doors would be kicked ajar soon enough.